Hi there and a very warm welcome to our website! This is us. We are just a normal couple from the east coast of the UK. We really want to give you an insight into our lives and how the internet has completely changed them for the better. Firstly, if you want to read more about us personally you can do so by clicking these links: Lee or Tami. If you're anything like us, and we're going to assume you are, you're probably after more time and/or money to enjoy what life has to offer. We certainly do and that's what drives us every day to build our online businesses and strive towards our goals. Also we love not having a boss or being told what to do and when to do it. Lee especially used to HATE being told when he could have holiday time – now we have breaks when WE want, not when we are permitted. Like we said above, we live in the UK in a small town called Lowestoft. We have a little dog (a Miniature Dachshund) called Manny. We love travelling and have a firm plan to have a skiing holiday, a summer holiday and at least 1 city break per year. It's goals like this that drive us every day to work hard and focus. We've travelled quite a lot recently, including Bulgaria (Skiing), France (Skiing), Egypt, Dominican Republic and Mexico, as well as some smaller trips here and there. We've met some really cool people on our trips and plan to travel out to the states soon to see some of them. It's goals like this that can really make a difference in how and where you apply your time and efforts – it certainly works for us! Hopefully we will get another holiday in before the year finishes – perhaps Egypt again. It's certainly one of the bonuses of having time freedom. Lee has 2 Sons (Bradley, 6 & Luke, 4) which we both enjoy lots of adventures with. Currently we work together on our business from home and have the time freedom to choose our own hours. But it wasn't always like this for us. We have both worked in the corporate world with massive targets and daily commuting but one day decided enough was enough. Back in 2007 Lee decided to start an online business (in the affiliate marketing sector) and within 6 months had quit his job and was earning more per month than he did in a year! Things were really going well and those businesses have produced hundreds of thousands in revenue since 2008. You can read more about this from Lee's Story page or check out Lee's video here. Unfortunately, whilst we had good money coming in and Lee had loads of time freedom, together as a couple we were still tied to the desk. Tami was working full time for somebody else which meant that we couldn't enjoy random holidays or short breaks without seeking authority from “The Man”. To this end Lee had been looking for something that we could work together on from home and earn good money. We wanted to start an online business together which was scalable, and would provide a passive and residual income, and above all would enhance our lifestyle, not cramp it! We considered various other businesses and ended up at Internet Marketing as a feasible way of supplementing our current income. We knew that there were many people online making serious incomes but it was almost impossible to sieve through the bad advice and BS to get to the nuts and bolts of how they actually became successful (sound familiar?). Also what worked a few years ago in some cases just wouldn't work now, for various reasons. We realised after a few short weeks of researching that we needed something, or someone, to guide us through the minefield, and what we found blew us away!! I won't go into too much detail here as you can check out the review page when it's ready (link to follow). 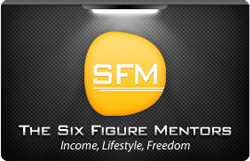 But suffice to say what we found when we joined The Six Figure Mentors was everything we had been hoping for, and much more. We aren't just saying this lightly or for dramatic effect either. It really is the best source of online and offline training available. We had learnt more in a few days than we had from weeks of researching through forums and blogs etc. If you've tried to go down this path previously you'll know what we mean. If you haven't tried to learn how to make money online, then you have potentially saved yourself HOURS of frustration and overwhelm by finding The Six Figure Mentors now. Well done! Well now we are dedicating our time and resources into becoming masters at Effective Online Marketing. We will try to build this blog into a valuable resource for others by writing about what we are learning along the way. Opportunities come and go, we've experienced this ourselves. But one thing has been made crystal clear to us through our experiences – if you are masters of marketing it really doesn't matter what the program is, you can be successful if you're passionate, and you can market it! We are now lucky enough to have become personal students of Stuart Ross himself, and have also positioned ourselves as founding Black members of the DEA. Exciting times ahead I feel!!! Honestly, you really can. If you can use a computer, or are willing to learn how, you can do this business. The only thing stopping you is you. If you want to chat with us about it, just get in touch via the contact us page. We will provide as much help and guidance as our experience allows. If we don't know something, we will endeavour to help you find the answer, and in doing so we will expand our own knowledge base – so it's a win win. 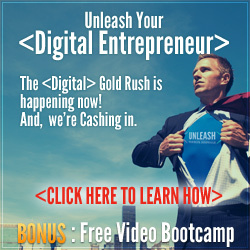 If you fill in this quick form we will send you a FREE video every day for the next 7 days which will get you started on the road to becoming online marketing experts, and living the life you deserve! Thank you for reading this far. We sincerely hope you enjoy this website and if we can be of any help just shout out via the contact page.